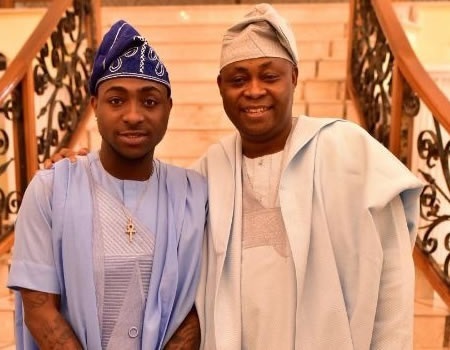 Home news politics Davido’s father denies speculations to contest elective office in 2019. Davido’s father denies speculations to contest elective office in 2019.
planning to contest any elective position now or in the nearest future. He described as a pack of lies and mischievous statement purportedly issued by him denying such rumour, saying he did not authorise any statement to that effect, saying there was no justification for it. Speaking through one of his aides, who pleaded anonymity because he was not authorised to talk on the issue, Adeleke said the statement in the social media was a hoax and a figment of the imagination of the writer of the statement. Adeleke who is the founder of the Adeleke University located in Ede, Osun State, his country home and a business mogul described such speculation as a laughable rumour that existed in the mind of the author of the statement in the social media, maintaining that he had no reason to join politics and that the general public should ignore such information. Adeleke is the junior brother to the late Senator Isiaka Adetunji Adeleke, who died after a brief illness on the 23rd of April, 2017, a development which compelled the Independent National Electoral Commission (INEC) to conduct a by election on July 8, 2017, which was won by his brother, Senator Ademola Nurudeen Adeleke.